Attorney Peggy Jo Stamper offers exceptional counsel and support in all areas of estate planning, trust planning and administration as well as probate to help those seeking to protect themselves, their assets and their families for the future. 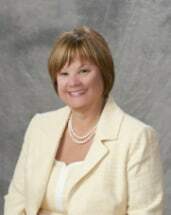 Serving clients throughout Lake County and the surrounding areas, Ms. Stamper has practiced law since 1983 after receiving her Juris Doctor from Valparaiso University Law School, and she has led a successful general legal practice since 1995. A Lake County native, she genuinely cares about the legal issues that affect the members of our community, and through our law firm, she has helped hundreds of individuals and families establish and enforce their final wishes while assisting them with creating a lasting legacy for their loved ones. In addition to estate planning, we also offer exceptional, value-added services for businesses and nonprofits in the areas of entity formation and planning, contracts and commercial transactions as well as civil and commercial litigation. In all cases, we promise to work closely with you in order to fully understand your needs so that we can deliver the most effective strategies and solutions possible to help you achieve your specific goals. Our extensive knowledge of tax law means that we can help you mitigate your overall tax liability for your business or your estate so that you can pass on the bulk of your wealth to your heirs. To find out what all we can do for you, contact our law office to schedule a free initial consultation.